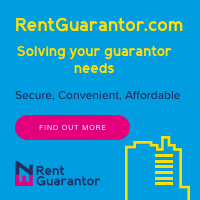 UK Rooms For Rent are delighted to present this superb fully furnished 8 bedroom house share, which has recently undergone complete refurbishment throughout. Located just off Orrell Lane (L9) the property is perfectly located for commuters heading into Liverpool City Centre within easy reach via the A59. Orrell Park mainline train station is just a few minutes walk away with regular train services to easily get you into Liverpool Central within 15 mins. The property comprises of 8 double bedrooms, all fully furnished with double bed, wardrobe, chest of drawers, bedside cabinet, table and chair. On the ground floor you will find a large shared kitchen facility with washing machine, integrated oven/hob, large American style fridge freezer and two sinks. Externally there`s a charming courtyard garden to the rear. Plenty of on road parking. The rooms are available for ?90.00 per week per room/?390.00 per calendar month and are suitable for single occupancy only. Our agency fees are just ?55.00 and there are no hidden costs/fees involved.